This custom drum is finished with a truly beautiful outer ply of African bubinga. The Tama Starclassic Performer Bubinga/Birch Custom Snare Drum has seven inner plies of birch-for the rich tonality that only thin birch can supply-paired with an inner ply of African bubinga. The harder, thicker bubinga accentuates birch's distinct tone and projection. The combination of the two tonewoods creates a more powerful, deeply rounded sound that is unlike any other drum. The Tama Starclassic snare drum is finished with a gorgeous single outer ply of bubinga. 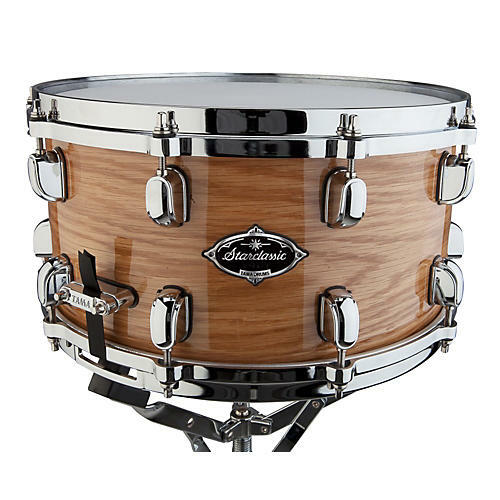 Punchy birch tone enhanced with bubinga's thunderous low-end power.